The SEO ranking of your website is a way to determine the ROI of your internet marketing efforts. The best way for you to track your SEO ranking is to use measurement tools. One tool to use for measuring SEO is Google Anlytics. You can also use Google Webmaster Tools or review SEO results with the WordPress SEO Rank Reporter tool. 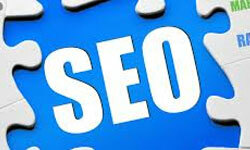 The purpose of SEO is to improve the ranking of a search engine result for organic searches. 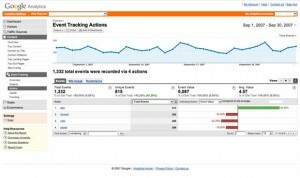 If you are using Google Analytics, then organic keyword traffic needs to be measured. This can be done by going to the search option and viewing keyword results. You are able to see various keyword phrases that are bringing your site organic search traffic. Another benefit of Google Analytics is that you can see the pages that receive organic traffic. The page that results for an organic search will rank higher when it is optimized for Google. You can also see the bounce rates for various keyword phrases. If you find that search terms have high bounce rates, then the web page may need to have better keywords. The benefit of using Google Webmaster Tools is the ability to see performance results of any keywords on search engine results pages. There is a link for Search Queries that can be used to get an idea for the rankings of specific keywords. This feature allows you to track various search phrases that display your site in search engine results. You can also see an average ranking for your site for each phrase. This is a great way for you to track the result of a keyword phrase that is optimized for your website. Results seen from the use of Google Webmaster Tools are not as good as Google Analytics. One reason for this is because that data is complied using different methods. However, this can be good if you want to compare reports generated in Google Analytics. One benefit of using Google Webmaster Tools is the ability to view an estimate of ranking and click-through rates. This is not available in Google Analytics. This is a plug-in that can be added to any website or blog that was created with WordPress. Performing SEO is a task that is meant to improve the ranking of your website on a search engine, such as Google. You can use the SEO Rank Reporter plug-in to view a graph of your Google rankings every three days. There are also emails sent based on any major changes that occur to rankings. Features of the plug-in include the ability to track the keywords for your web pages or the website of a competitor. This allows you to see any changes in the rankings of specific keywords. Users can also see a visual graph of their rankings. One benefit of this plug-in is the ability to see changes that occur to the traffic of a website based on the changes in rankings. Translators are also available for other languages. Jane Heaney wrote this post for Search Factory. Search Factory provides SEO and SEM clients with a level of service superior to that of current agencies within the Australian market. Keep up to date with Web Design Fact! Get Freebies, Giveaways, and more. Win a Premium WordPress Theme from TemplateMonster! Win A Premium WordPress Theme from Theme Junkie! Win A Premium WordPress Theme from ThemeFuse! Should I be using Node in 2019?